For more than a quarter of a century, the family law attorneys at Carluzzo Rochkind & Smith, P.C., have protected the rights of their clients while looking out for the best interests of their children in Manassas, Prince William, Manassas Park, Gainesville, Haymarket, Woodbridge, Lake Ridge, Dumfries, Bristow, Warrenton, Centreville, Fairfax, Stafford, Chantilly, Leesburg, Ashburn, Sterling, Herndon, Reston, Alexandria, Annandale, Arlington, and throughout Northern Virginia. Whether they are negotiating custody agreements or pursuing modifications based on changes in their life, we are at their side in pursuit of a satisfactory outcome. For a custodial parent, relocation of a child out of Virginia is possible. However, challenges exist. Virginia laws contain strict guidelines for allowing a parental relocation that include job opportunities, family-related matters and the cost of living in one area versus the other. The courts will also look at the current involvement of the noncustodial parent in the life of the child and the relationship they enjoy. Perhaps the most significant factor in considering relocation is the best interests of the children. The party pursuing the child relocation has the burden of proof under Virginia law that the child’s best interests are served through a move. A significant move out of state as part of a post-divorce modification is legally complex and emotionally charged. Children run the risk of being placed in the middle of their parents’ disputes, a scenario that is not in their best interests. Our lawyers understand the stakes involved when it comes to a child’s peace of mind. 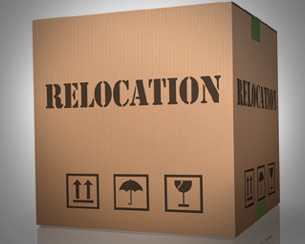 For more information on relocation, call 703-361-0776 or fill out our online intake form to schedule a free initial consultation.